What Is Hyperacusis? How Is It Treated? Do you have difficulty tolerating everyday sounds? You may suffer from hyperacusis, a condition characterized by an increased sensitivity to normal environmental sounds. This can have a significant impact on many aspects of the sufferer’s life. It can disrupt a person’s career, dismantle their social life, and perhaps even rattle their peace of mind. Very normal activities like talking to a friend, watching TV, driving a car, or vacuuming your home may feel difficult, uncomfortable, or perhaps even impossible. Some people even find the sound of their own voice or their spouse’s voice intolerably loud. If you suffer from hyperacusis, you may feel like the whole world’s volume is unbearably and painfully high. High-pitched noises like alarms, babies crying, and glass breaking can cause pain and anxiety. You may experience a physical pain in your ear or a feeling of fullness (pressure) that is especially irritating. In addition, many people find that tinnitus (ringing in the ears) accompanies their sensitivity to sound, and some also lose their dynamic range of hearing (the ability to deal with sudden changes in volume). Hyperacusis is rare, occurring in an estimated 1 out of 50,000 people, but is increasing in occurrence due to loud noise exposure. Some people find it a minor annoyance, while others struggle to live a healthy and happy life with hyperacusis. If you believe you suffer from the condition, contact an audiologist for a diagnosis and treatment. There are two types of hyperacusis: cochlear and vestibular. Cochlear, the most common form, causes pain in the ear, frustration, and a general feeling of intolerance to everyday sounds. Vestibular hyperacusis, on the other hand, causes feelings of nausea, dizziness, and imbalance when particular sounds are present. Both types of hyperacusis can cause anxiety, stress, depression, social isolation, and phonophobia (a fear of normal sounds). Do not confuse hyperacusis with recruitment, a condition that causes an exaggeration in one’s perception of sounds located in their frequency range of hearing loss. Where recruitment makes certain loud noises uncomfortably loud, hyperacusis makes all sounds too loud. A loudness discomfort test by an audiologist specializing in these conditions can help determine which type of sensitivity you may be experiencing. Sometimes children with autism or cerebral palsy also suffer from hyperacusis, and it can occur in children with brain injuries. Although experts do not know exactly why hyperacusis occurs, theories include a malfunction of the ear’s protective hearing mechanisms, damage to a portion of the auditory nerve, a problem with the central processing system, or a malfunction of the facial nerve. Although a cure to quickly eliminate hyperacusis does not currently exist, therapies can improve the sufferer’s quality of life by reducing their fear and anxieties, helping them cope with uncomfortable sounds, and even reducing their sensitivity to sounds. For example, sound therapy can retrain the brain’s auditory processing center to accept everyday sounds as normal again. The individual wears a noise-generating device that produces soft, narrow-band noise. Over the course of about 6 to 18 months, regular use of the device can rebuild the individual’s tolerance to sounds. Sound therapy requires directive counseling by a qualified audiologist in order for it to be effective. People with sensitivity to sound may wear ear protection in loud environments to muffle sounds. For example, they may choose to wear earplugs or industrial earmuffs (or both). However, avoiding sounds can actually make someone more sensitive to sound. Thus, audiologists typically advise against these tools unless it is universally necessary, such as at a concert or while using power tools. If another medical condition causes hyperacusis, that condition will be treated alongside the hyperacusis. Finally, many people suffering from hyperacusis can benefit from a treatment involving counseling. Through counseling, people living with hyperacusis can address their fears and anxieties. This is especially beneficial for those who find themselves withdrawing from social engagements, avoiding professional activities, and isolating themselves. Counseling may include cognitive behavioral therapy (CBT), which helps people recognize useful and detrimental aspects of their daily lives in relation to hyperacusis. With the help of a therapist, the individual can change their pattern of thinking or behavior to reduce the impact of sound sensitivity on their life. 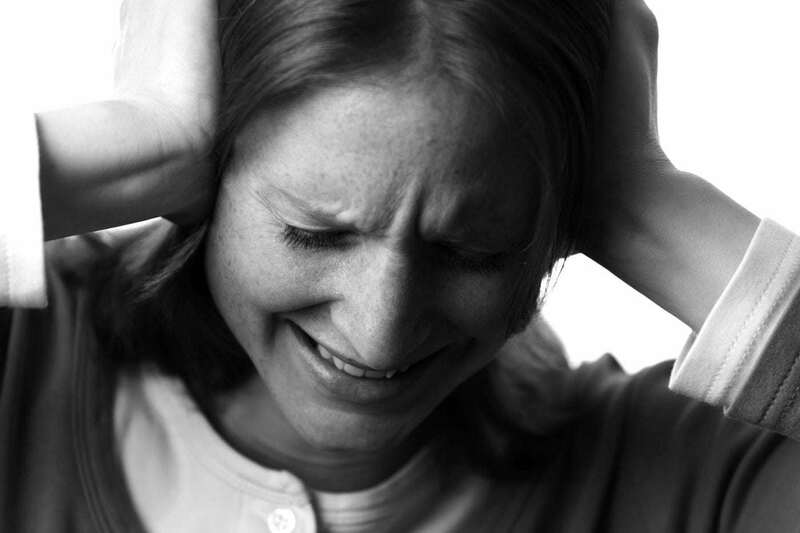 If you suffer from hyperacusis, contact Sound Relief Hearing Center today. Our expert audiologists can help you identify the the best options for treatment. To learn more about us, please browse our website, visit our YouTube channel, or give us a call at 720-259-9962. You can also schedule an appointment online to meet with one of our audiologists. We look forward to hearing from you!